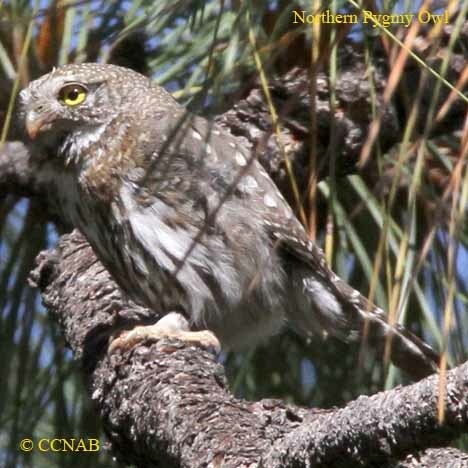 The Northern Pygmy-Owl is the smallest owl species seen in the northern regions of North America. 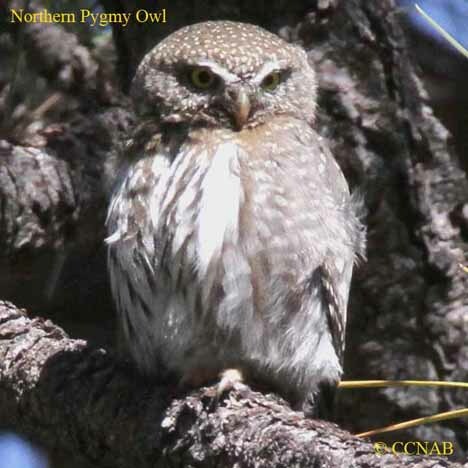 This tiny owl is found throughout the Rocky Mountains, from northern British Columbia, southward to the southern boundaries of Mexico. 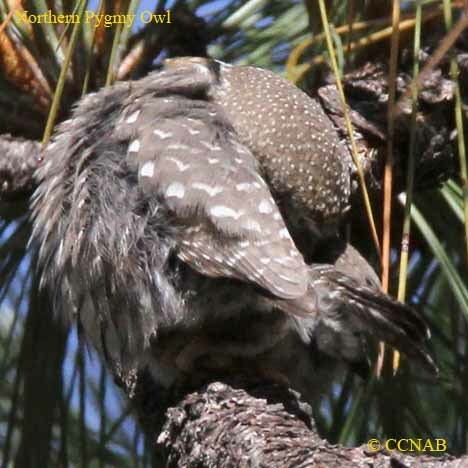 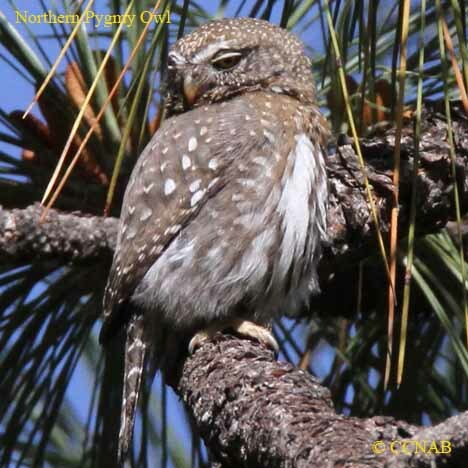 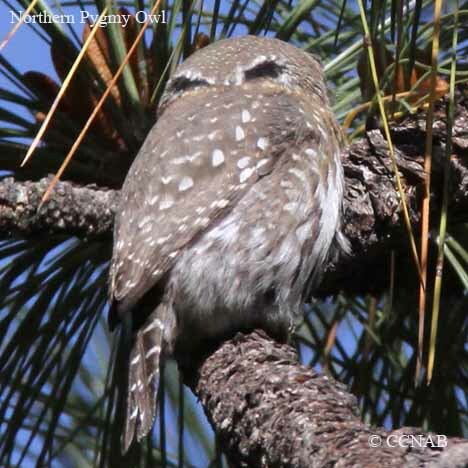 The pygmy-owls all have two black spots on the back of their heads, making it easy to determine the owl species group.